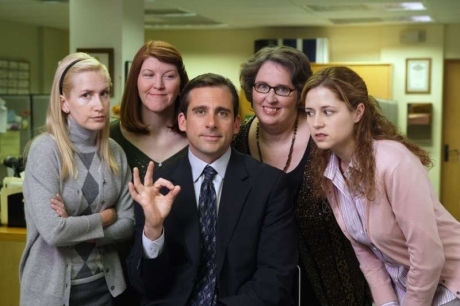 Michael Scott with the Dunder-Mifflin ladies. 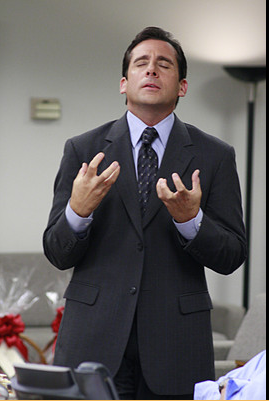 Michael seems to always have great ideas, so he shares his “great” ideas to the rest of the workers. Little does he know that the workers make fun of his emphasis on these ideas behind his back. 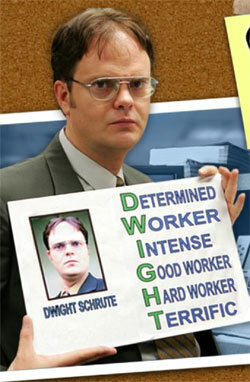 Dwight explains why his parents named him “Dwight” by showing them what each letter stands for. This isn’t the real reason why his parents named him that.